Heard this word a lot. But many of us don’t know about this. Let’s clarify it. PING, as a verb, means “to check the presence of”, and in computer terms, its abbreviation is “Packet Inter-Network Groper”. 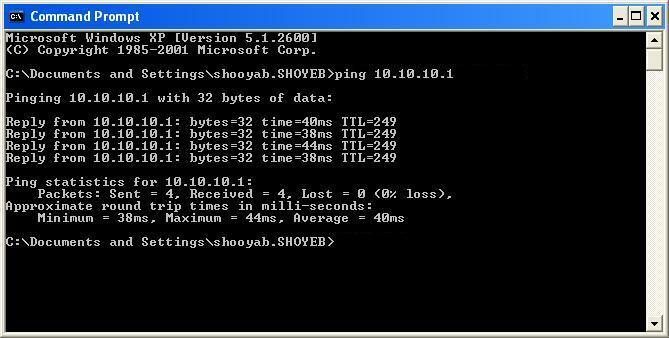 Now, as the name suggests, PING is a process of finding whether a particular computer is present in the network of our computer. To check whether they both are in network connection, from System ‘B’, open command promt. (Start -> Run -> type CMD) there type: ping <space> 10.10.10.1 (i.e, the IP address of A). If you get a reply, that means system A is in Network with B. else they are not reachable to each other! So, go and check the computers in your network!